first of all, i love the pumpkins hiding under our bench! they make me so happy. 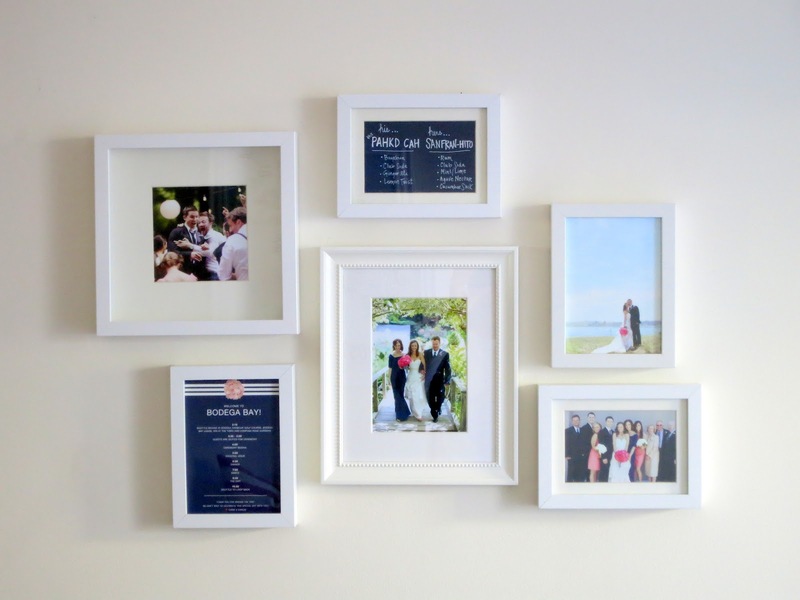 and now to the little updates...originally this spot looked like this but after our wedding i wanted to add more wedding items and it became bigger and bigger and i wasn't loving it...so, i decided to rip all the frames down and keep it simple. 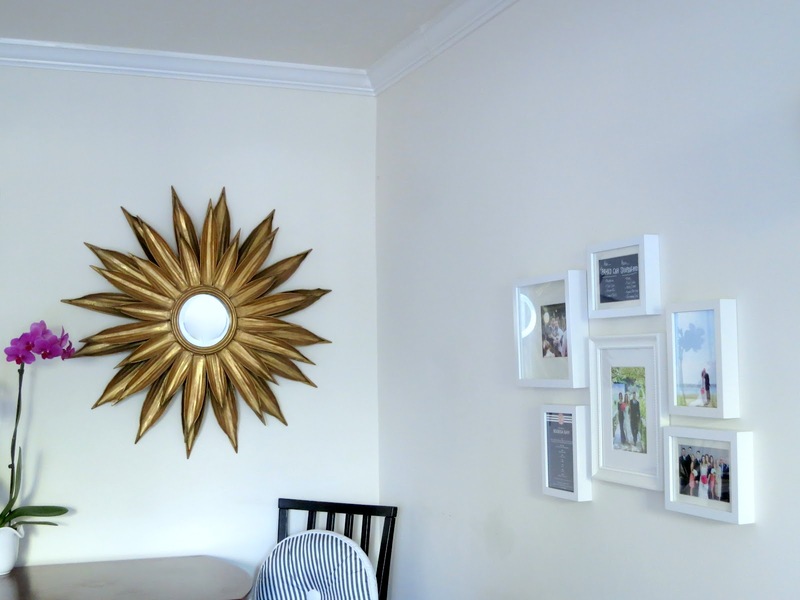 instead of one gallery wall, we now have multiple gallery walls all over the house ( i will take more pictures soon). this is an awkward angle because there is a hideous wall heater right below the gallery of pics. and there is an opening window/cut out to the left of the orchid to the kitchen. the one above is of course dedicated to all things wedding. most of the frames are recycled from our actual wedding, with the exception of a few from ikea. and i loved all of our stationary so much that i framed a piece. and of course the signature cocktail signage that i created, that needed to be up there as well. 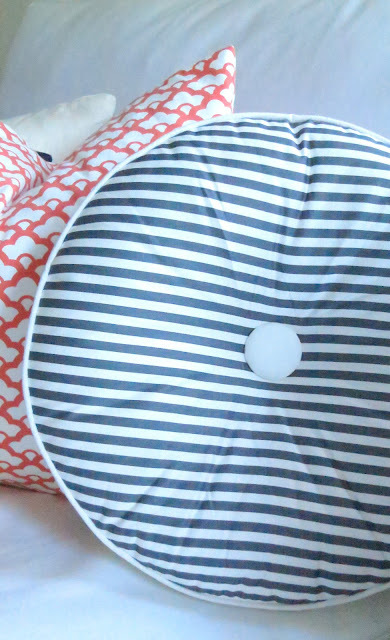 you may have noticed this pillow peeking out in the above photograph. i picked up a few for cheap at Ikea and they are the perfect addition to our bar table chairs. i use them a lot when working from home- they make the chairs much more comfortable! 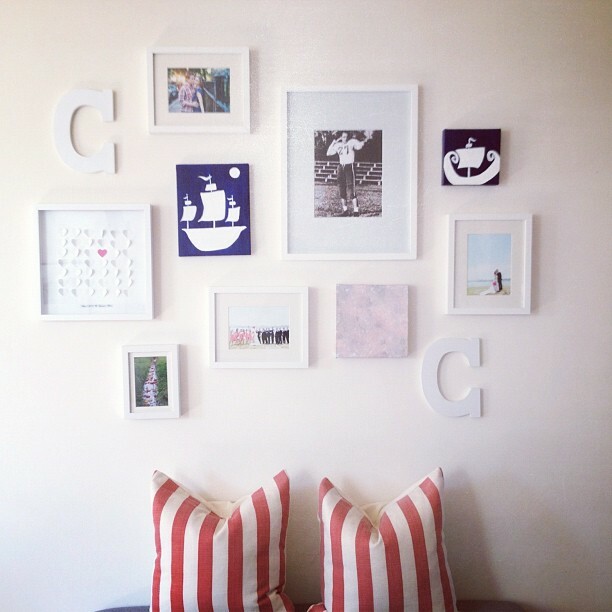 loving your gallery wall! i need to go and get some cheap frames + no damage sticky things and decorate my wall! I love the little white pumpkins! I really like the wedding wall. I have been wanting to do something like this for a while. 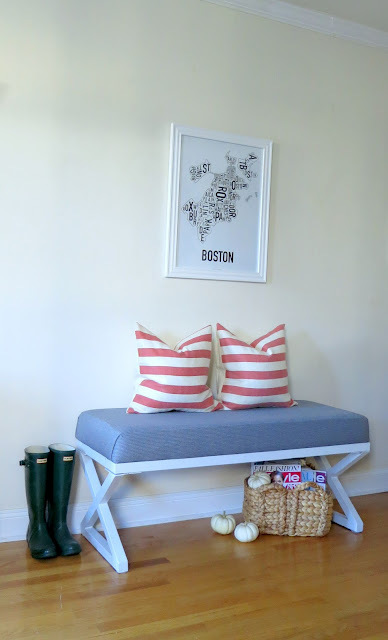 I LOVE that Boston print! Where is it from?